A few months ago, friends of Brian Jones from his fellows class at the Pahara Institute asked if I’d interview him for a sabbatical fellowship they are creating in his honor. 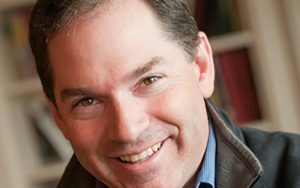 Brian previously served at the U.S. Department of Education, chaired the Washington, D.C., Public Charter School Board, and worked on Capitol Hill and in state government, and he has ample private sector experience. But more than all that, he is a genuinely heterodox thinker, marches to his own beat, and has an infectious curiosity and joie de vivre. Even as Brian fights ALS — Lou Gehrig’s disease — his enthusiasm for life and learning is tireless. And Brian is someone who intuitively gets that you can disagree without being disagreeable. Meeting in person and chatting over phone calls, we talked through a number of issues and ideas in the education space. The following conversation has been lightly edited for length and clarity. T74: Tell me about your story in education. Jones: My story and education really begin in college. I’ve always been interested in politics. I was raised in a house of Democrats and went off to Georgetown to study government and politics and ended up becoming president of the college Democrats there in my senior year, which was around the time of the 1988 presidential campaign. I had questions about our direction and ultimately ended up being impeached as president of the College Democrats. And needless to say, that compels a bit of introspection. As I was thinking about my politics and what I cared about, I went off to law school. One frustration I had was I’d gone to school in D.C. and moved to L.A., and I was frustrated by the condition of schools in those cities in the ’90s. And it seemed to me at that time that my party wasn’t really responding to those needs. As I looked around, I saw this fledgling choice movement. At that time, Republicans were embracing the idea. I ended up switching parties and threw myself into education reform — charter schools, vouchers, and the like, and ended up serving in the Bush administration as general counsel at the Department of Education. I got to travel the country and meet phenomenal educators doing amazing things with populations of kids that were all too willing to be written off as kids — for whatever reason around their circumstance — who can’t or shouldn’t perform at high levels. I saw reformers giving the lie to that every day, and from that point on I knew I would commit my career, my volunteer time, to try and create opportunity. I’ve heard you refer to yourself as a social justice conservative. What is a social justice conservative? I am a great believer in the values of the country, the founding documents of this country, the founding ideals. I have a great respect for the structure of our government. But I also happen to believe that we have an obligation as a people, as a nation, to create opportunity for everyone — to create the conditions for social and economic mobility. I believe that the best path tends to lie in the private sector, in private actors, and in community-based institutions. I don’t have great faith in the federal government necessarily as the engine of progress. But having said that, I also happen to believe that there is a role for government. There’s a role for the private sector. But at the end of the day, I think we all have an obligation to make sure that we’re creating conditions for people to be able to improve their lives. As you think back on your career in education, who are some of the mentors that stand out? There are almost too many to name. But I would have to put at the very top of my list my own dad. My dad is a retired businessman, but he was a guy who I think started off with not the brightest prospects. I’m a fourth-generation college graduate. My great-grandmother graduated from college in 1908, from Wilberforce University. My dad left high school and decided college wasn’t for him. He married my mother, she got pregnant with me, and he decided to make a change. So he gave up a job washing cars, went to a big insurance company to load boxes in storage, went to school at night, and got his bachelor’s degree. 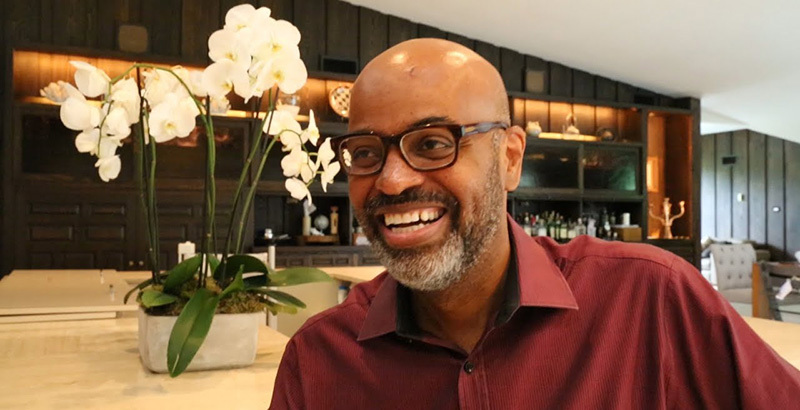 He moved up in the company, went to school at night, got an MBA, and ultimately became that very large insurance company’s first black executive. So education changed his life, and he devoted much of his professional life to giving back — chairing the board of the L.A. Urban League, serving on the California State Board of Education. And I’ve always embraced that view, that giving back is essential for those of us who enjoy gifts. Aside from my dad, Rod Paige, whom I served as general counsel at the U.S. Department of Education, is certainly a mentor. A decent man who came to Washington with no background in Washington. He came here and always maintained focus on finding ways to close the achievement gap and hold schools in districts accountable for all kids. He taught me a lot about the importance of being on the ground, talking to real people, and making change around that. Who are some of the people who informed you as your political thoughts evolved? There were a number of influential people. I recall a book I read in college by George F. Will called Statecraft as Soulcraft. That was the first time that I took my own view of the role of government in shaping the character of citizens and was able to translate that into a political philosophy. She called me back that day and said, “The judge would love to talk to you.” So I went in on a Friday. I had a half-hour appointment. And the judge ends up spending almost three hours with me. We talked a lot about what it means to be a black man in America, the challenges in the workplace, and his view that the best way for me to succeed would be to go to law school and ground myself in all the foundational courses I could get — make myself what he called a “thoroughbred,” someone able to pivot from issue to issue based upon that strong foundation. Over the years, he continued to be supportive, quietly and often. Politically, we don’t agree on everything. I don’t agree with everything he’s written. What I do know is he’s a decent guy who cares a lot about black people and has always been there to support me in my aspirations. I’m most proud of having served on the D.C. Public Charter School Board and having chaired it for nearly three years. I think the charter sector in D.C. really is a model for the country. Of course, we have a very strong law here. But during my time as chair, we launched the performance and management framework as kind of a way to evaluate and rank charter schools. I think what that allowed is a more rigorous form of accountability — easing up on schools that were performing very well, focusing support on schools that need help, and closing schools that were persistent failures. I think that effort on accountability, coupled with our hiring of Scott Pearson, who is the executive director of that PCSB, really do stand as the most impactful role I’ve ever played to improve lives of kids. Could you tell me your thoughts on Duran Duran? We seem to be at a moment where things are becoming more and more tribal, and people are less and less reaching across lines of political difference. What do we do in our sector to get more people to listen to whatever their Duran Duran is? I think we have a compulsion to put people in boxes. We sort people by giving identity. You’re black or you’re gay, or you’re a Republican or you’re a Democrat, or you’re a Southerner or a Westerner. We attribute certain ways of thinking and certain ways of being people on that basis. And I think that if we can get to a place where we respect that people can come to good ends or good objectives from different pathways — I think that is the key in learning. The time I spent on Capitol Hill working as a staff member on the Senate Judiciary Committee was really valuable for me, because it meant working with people on both sides of the aisle who kind of disabused me of preconception. When I went up there, I worked with folks from Strom Thurmond’s office. Sen. Thurmond was on the committee then. I grew up in a house that had a decidedly negative view of Strom Thurmond, and not without good reason. So I could have gone in there and just assumed that everyone around him was a racist or someone unworthy of my time. What I found was staff members who were teasing people. Who just like me wanted to make the country a better place. We didn’t always agree. The same could be said for Sen. [Ted] Kennedy’s staff. I didn’t always agree with them, but I worked with incredibly decent people — people who got up every day and worked their tails off to make the country a better place. Sometimes we’d agree, sometimes we didn’t, but we could all accept that we were there in common cause. Maybe through different pathways. So I do wish that we had more proximity, to use Bryan Stevenson’s word, to people who thought differently than us — who again stepped on a different path on the road to justice, and recognizing that the paths to justice really are many. I think if we had that proximity and could understand that good people come in all different political and social and racial flavors, I think we’d all be better off. It’s 2018, people have a deeper understanding of different paths, different traditions, and different ways of thinking about things. How do you see that then impacting the education community? I think the idea of respecting different paths to get to social justice is essential in education today. For as long as I have been active in the ed reform movement, it’s always been sort of a commonly held view that education creates opportunity. Whether you’re a Republican or a Democrat, you can embrace that view. And I think that baseline assumption led to a good deal of agreement over the years. But what appears to be a fracturing of the reform movement, I think, is unhealthy for the ultimate goal of achieving the bar that’s reached for social justice. I think when we begin to view education as a sharply divisive, us-versus-them, good-versus-bad kind of Manichean struggle for truth, that gives us the idea that somebody wins and somebody loses. Whereas, ultimately, I think social justice really is about making progress where we can. Understanding that the path toward justice is long. To be able to stay on that path, you have to forge different coalitions along the way. We may not agree on all things, but if we can agree that the end of creating opportunity for every kid in this country, creating pathways for people to create economically viable lives and intellectually satisfying lives really is what social justice is about, we’ll recognize that one side doesn’t have a lock on getting there over another. But again, I fear that today we are setting ourselves up for an idea that it is my way or oblivion. And I think that that is not in the service of American kids. What do you think when you hear the word “pluralism”? I love that word. Pluralism to me speaks to the American identity, and what it means to me is many voices, different keys and pitches, but it’s all necessary for the quality of the whole. What it doesn’t mean is that we all think the same way, or that we all believe that the path to justice looks the same for everyone. I think what we have to return to is an idea that pluralism presumes the goodwill of our fellow Americans and respect the differences that we all bring. What do you think of heterodoxy, and how it applies here? That is to me a word that also suggests the richness of our country — many different views going back to our founding. The rich disagreements that yield the best beautiful compromise is the foundation of all that we enjoy today. We often forget that so many of the great moments in our history — when you think about our founding, think about the Civil War and Lincoln’s approach, think about the civil rights movement and King’s approach — these were all great compromises. I know some today don’t really think, for example, of King as a compromiser. But the fact is, Martin Luther King was a remarkable but pragmatic man. Pragmatism demands certain compromises. And so, when I think of heterodoxy, what really comes to my mind is ultimately the great engine of progress. And I know it sometimes seems contrary to our revolutionary times, but I do think that the engine of progress is often pragmatic compromise.